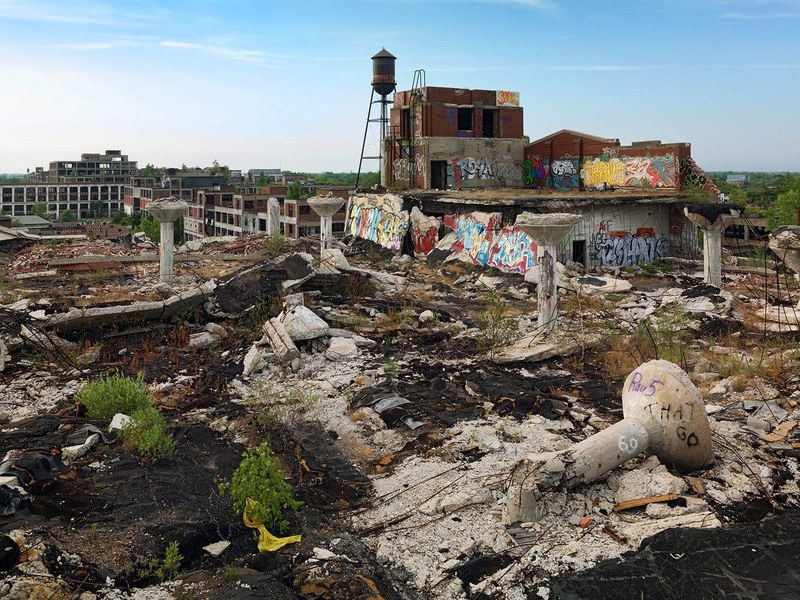 The city of Detroit has gone spectacularly bust. Devolution of fiscal policy would mean something similar could happen here. These are heady days for the small band of us who get excited about decentralisation. The No vote means home rule for Scotland is now a given and that opens the way for devolution within England. In what was derelict east Manchester: an example of what can be done already… new housing, schools, and sports facilities, building on some government spending, but now investment from the wealthiest middle eastern oil funds. They get to add their name, their brand, to council-owned stadiums and tram stops. But the Devo Manc report by Respublica, out this week, says the prize is much bigger. The offer to Westminster and the rest of the country from the city’s leaders is stark: Let us, eventually, pay our own way instead of spending nearly £5 billion in taxes raised elsewhere. Just free us to make our own spending decisions and boost our economy. The report details a myriad of funding agencies and streams, thousands of permutations for public money to be spent in this conurbation of 2.7 million people. All of I — from health to education, from benefits, to the work programme, from crime, to problem families, to transport and housing – the whole lot should be spent locally. This is rich in possibilities but not all of them are positive. Which brings us to Detroit. The city has just declared bankruptcy on its $18 billion liabilities. Despite having gutted many of its public services, it appears that city will only be paying back 10% of what it owes some creditors. The collapse of the city’s finances was both caused by and accelerated the same happening to its wider economy. It was once an economic powerhouse: the epicentre of Henry Ford’s mass production revolution and a magnet for migrants. But all of that rested on a single industry which went into rapid decline in the face of foreign competition and industrial discord. It became a motor town that no longer made cars. The exodus of jobs lead to a similar departure of taxpayers till it reached the point it couldn’t afford to maintain basic public services. That in turn only accelerated the outflow of people – who wants to live in a place where it takes the police an hour to respond to emergency calls. The result is that more than half the city’s population – over a million people in total – have now left. At present a Detroit style bankruptcy couldn’t happen in the UK. If a council became insolvent it appears that the Treasury would have to stand behind it. Knowing it will be on the hook if a council goes bust, central government goes to great lengths to stop that happening. They are encouraged to borrow through the Public Works Loans Board rather than from the private sector. Their pensions liabilities are centralised in a national. Parliament has even gone as far as requiring Chief finance officers to rewrite the budgets passed by democratically elected councillors if they are too risky. And because most of a council’s funding is provided by central government – contrary to what you might imagine council tax only raises a small part of what local government spends – they are not as susceptible to declines in their local economy. Councils have in effect been compelled to accept losing autonomy in exchange for gaining security. If fiscal devolution is going to be meaningful then that trade off has to be reversed. Westminster giving devolved bodies more freedom will inevitably give them scope to screw up. And the more scope they have, the less willing the Treasury will be to take on the liability for the mistakes of others. This is inherent in the process. Nonetheless, the situation of Detroit was made worse by mistakes, which we can avoid repeating. Probably the most important is that the City of Detroit and the city of Detroit didn’t line up. The city’s suburbs lay outside its municipal boundaries. That significantly worsened its depopulation problem. It meant that people could leave behind Detroit, its problems and its taxes without actually moving away from their jobs or friends. To prevent this happening I’d argue city boundaries should include suburbs. That means I’d be far more comfortable with devolution to Greater Manchester than the smaller area currently covered by Manchester Council.